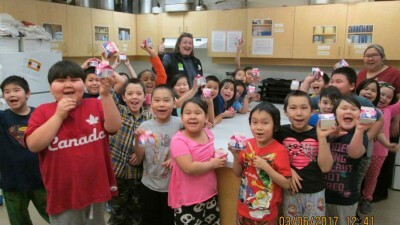 The North West Company is proud of the active role we play within communities. We strive to help make a positive, progressive difference within each community we serve. One of the fundamental operating principles of The North West Company is our commitment to local organizations and programs. The North West Company helps over 7,000 youth annually by providing uniforms, equipment, healthy snacks and sponsoring summer camps, community based street hockey and more. The North West Company supports cultural events, performing arts and celebrations of heritage, language and artistic expression. 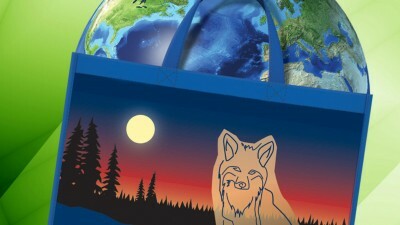 We play an active role in preserving and promoting the culture and heritage of the communities we serve. The North West Company’s healthy living programs promote nutritional and physical wellness for our customers and employees. We are proud to partner with the Canadian and American Diabetes Associations, the Muscular Dystrophy Association, Canadian Cancer Society and others. The North West Company continually aims to make the communities we serve a greener place. Our environmental work includes streamlining our truck fleet to decrease fuel consumption and cut Greenhouse Gas Emissions, and reducing plastic bag use by more than 69% across the territories through our Greener Tomorrow program. Each year, the North West Company awards thousands of dollars in post-secondary scholarships and educational assistance to community members, schools and staff. See your local in store community central board to find out about the current support in your community. 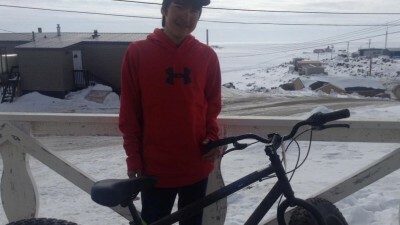 Recreation and Parks Association of Nunavut (RPAN) and Northern team up to get kids active with a walking challenge to the North Pole. 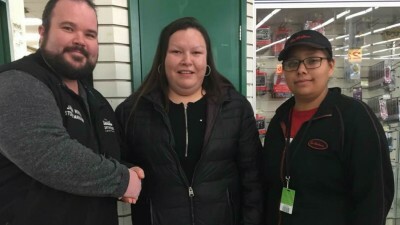 Northern/NorthMart stores throughout northern Canada are celebrating another successful year of the Greener Tomorrow program aimed at reducing the use of plastic shopping bags. 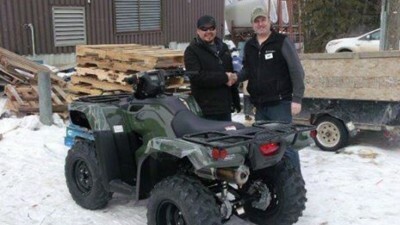 The Nothern team in Island Lake recently donated an ATV to give away at the Garden Hill First Nation's annual carnival. Angela Keam from Rossville picked up a Tim Horton's coffee from her Northern store and won a $5,000 CIBC gift card playing Roll Up the Rim to Win! 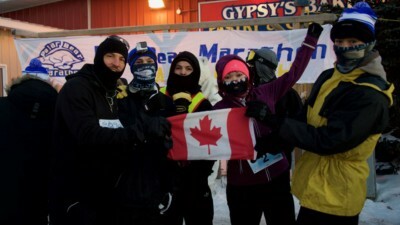 Chilly morning and icy roads couldn’t hold runners in the 5th annual Polar Bear Marathon. 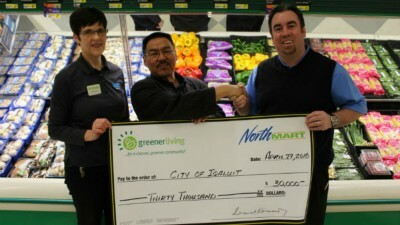 Earth Day 2016 marked the fifth anniversary of Northern/NorthMart’s Greener Tomorrow program.